And we know the risks – those who are overweight, physically inactive or have a family history of diabetes are at increased risk of developing the condition, as are people of South Asian, African, and African-Caribbean descent and less affluent individuals and populations. With 5 million people in England at high risk of developing Type 2 diabetes, we urgently need to see a major drive towards diabetes prevention in the UK, and the launch of Healthier You: the NHS Diabetes Prevention Programme represents an important step forward. 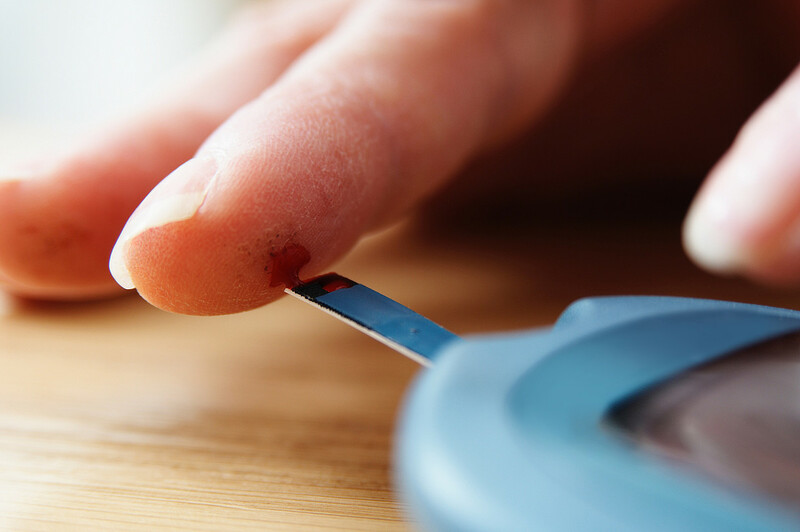 It’s an important part of a wider range of work to tackle a disease that is already a huge burden on the NHS, by shrinking the numbers of people living with Type 2 diabetes in the future. Healthier You: the NHS Diabetes Prevention Programme will offer behavioural interventions to people at high risk of developing Type 2 diabetes (determined via blood glucose levels) largely in the form of group sessions of around 1-2 hours, delivered face-to-face for a minimum of nine months. The sessions will be provided by service providers selected through an open procurement process, which are best able to deliver effective and efficient services at a national scale. People who are eligible for the programme will be referred via primary care and the NHS Health Check. At full roll out, we hope to have up to 100,000 people going through the programme every year, and we will continue to evaluate and improve the way we engage and retain people in the service. Is the programme the best way to tackle Type 2 diabetes and obesity? We will need to monitor the outcomes of the programme for a number of years, but we have a strong international evidence base suggesting that diabetes prevention programmes are an effective prevention strategy for high risk groups and a full evaluation strategy in place, which will allow us to track implementation, impacts and outcomes of the programme over time. As a nation, we are particularly well-placed to benefit from a successful diabetes prevention programme. The NHS Health Check system is already helping to identify eligible people and start conversations about their risk. And, we have had the opportunity to learn practical lessons from the delivery of existing diabetes prevention services in England through our seven demonstrator sites. These sites have supported us in developing the national programme and advising on potential barriers, strategies for the recruitment and retention of at risk individuals. We will continue to learn from demonstrator site activities via an independent evaluation. As we roll out the programme we will gradually provide national services that are faithful to the evidence base, with flexibility to meet the needs of local communities. The programme is ambitious in its plans to scale up quickly to ensure more people have access to behavioural interventions, but it is also just one element of a broad spectrum of work to combat Type 2 diabetes and obesity. We recognise that as well as reducing the chance of people at higher risk of Type 2 diabetes from developing the condition, it is also essential to address the social norms and obesogenic environments that are increasing this level of risk in the first place, particularly in children and young people. Tackling obesity in children and adults is one of seven PHE priority areas and we’re also committed to working with NHS England to develop the plan for tackling obesity set out in the NHS Five Year Forward View. In 2015, the Scientific Advisory Committee on Nutrition recommended that the average population intake of sugar should not exceed 5% of total dietary energy. We have since reviewed the evidence on potential actions that could be taken to reduce sugar intakes, and this work is feeding into the Government’s childhood obesity strategy to be launched this summer. Our campaigns such as Change for Life (children and families) and One You (older adults), as well as tools such as the Eatwell Guide, encourage people to eat better and move more. And national policy changes such as the levy on sugary drinks announced last week will also help people to make healthier choices. Healthier You can’t tackle Type 2 diabetes and obesity alone, but it can be expected to make an important contribution, and its success could help pave the way for broader investment in prevention activity in the future.